I have been painting wildlife professionally for 30 years and now would like to share some of my experience and knowledge with others. To this end, in conjunction with OnSafari, we will be organizing a 16-day safari/workshop for amateur and professional artists. The safari will include Samburu, Soysambu with Nakuru Park and the Masaii Mara where we will see the wildebeeste migration with game drives using OnSafari's luxury 4-wheel drive vehicles. Our days on this safari will primarily be spent searching for wildlife. We will spend time studying and photographing various animals in a variety of habitats, gathering material to be used in painting at a later date. Simon will give instruction on how to reproduce these encounters onto canvas. There will be time to practice sketching techniques in the field as well as painting techniques onto canvas. On arrival at Nairobi's Jomo Kenyatta International Airport you will be met and transferred to your Nairobi Hotel. You will be tired from your long flight to Nairobi so the best part of the day will be recovering from this. 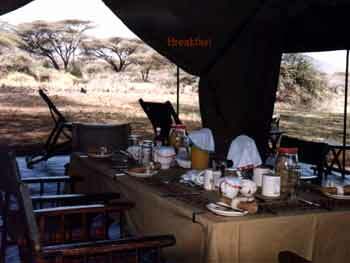 In the afternoon we will have a gathering and briefing on what to expect during your safari. We will set off in the early morning on our journey north past Mount Kenya and into the arid lands of Samburu. We will have 2 full days to explore this region. There are dramatic mountains and the Uaso Nyiro River that provides a scenic landscape for searching for the wildlife. We can expect to see interesting wildlife such as Grevy's Zebra, Reticulated Giraffe, Gerenuk, Oryx as well as Elephant, Buffalo, Lion, Cheetah and Leopard. A short distance from Samburu is IL Ngwesi, a small privately run lodge perfectly situated on a hillside with views over the surrounding bushlands. An ideal situation for generating inspiration amongst artists. We will drive away from the bushlands of the north, skirting the edge of the Aberdare Mountains and descend into the Rift Valley to the private lands of Soysambu, home of Lord Delamere and also Simon Combes. We will find our camp set up here looking out over Lake Elementaita. Soysambu is characterized by stunning views and is also host to a great variety of wildlife. The ranch borders Lake Nakuru National Park. 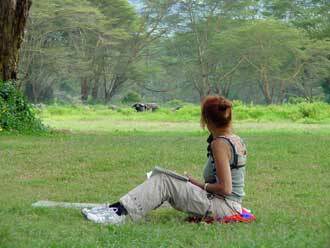 There will be 3 days of excursions to the nearby Lake Nakuru and its surrounding woodland. The Lake is famous for its concentrations of flamingos and other birdlife; the surrounding woodland is also host to plenty of interesting wildlife including both black and white rhinoceros. 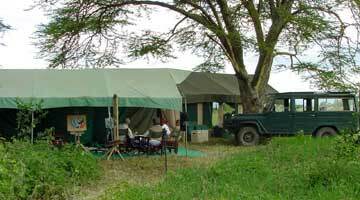 We will depart camp in the morning and travel the short distance to Malewa River Lodge. This beautifully situated little lodge is on Kigio Wildlife Sanctuary, a private wildlife sanctuary managed by Chris Campbell Clause. Chris is also a renowned water color artist and will be lending his experience to us during our visit here. We will set off in the early morning on our journey to the Masai Mara. We will arrive at our private camp in the afternoon. 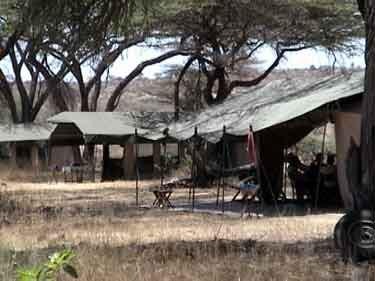 This camp is in the heart of the best wildlife country in the world. 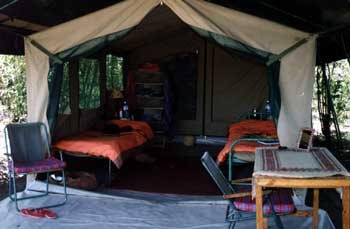 Three more nights and three full days to explore the Mara region. We can expect to see a huge range of wildlife such as impala, topi, Grant's gazelle, Thompson's gazelle, eland, zebra, wildebeest, elephant, hippo, crocodile, lion, cheetah and leopard. 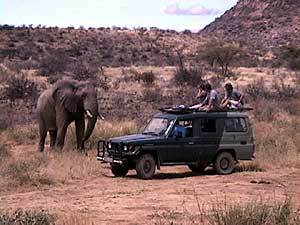 We will take early morning drives as well as afternoon drives in the search for this wildlife. 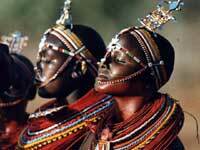 We will have the opportunity to visit nearby Masai communities and to see how this interesting culture lives. We may take short hikes amongst the wildlife and we might even go on night drives. There will be plenty of opportunity for photography, sketching and painting. We will leave camp in the early morning for the final part of our journey back to Nairobi. We will arrive in good time for you to meet your international flight departure from Nairobi that evening. You will receive complete details from Anthony including instructions on payment and advice from me on what to bring from a painting point of view. "I look forward to welcoming you to this unique corner of paradise"